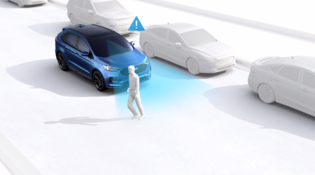 Using the most advanced technology available, Ford’s complete suite of safety features are here to help keep you and your passengers safe on the road with the Co-Pilot 360™. Each vehicles comes standard with a wide range of safety technologies, with a variety of upgradeable tech for you to choose from. 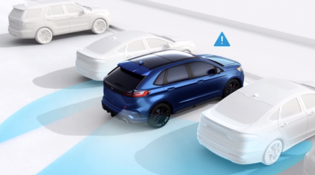 There’s no such thing as too much safety, and we at Kentwood Ford can’t recommend these features enough. 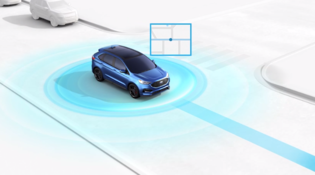 Feel free to ask us questions about which vehicles have these advanced safety technologies and how you can upgrade your Ford vehicle for a more secure driving experience. When travelling at a speed of 4.82km/h, radar sensors detect vehicles moving into your blind spot. When triggered, indicators on your sideview mirrors light-up until the car is out of range. Meanwhile, the Cross Traffic Alert system warns you of other incoming vehicles near your car while you’re backing up with three different range warnings. If you find yourself drifting into other lanes, this system both alerts and helps direct you back into your lane. 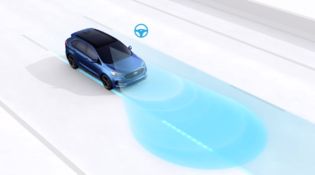 The alert mode warns you to steer back into your lane by vibrating at different intensities, while the aid mode automates the actual steering wheel to help direct you back towards your lane. Highway driving can get long and tedious, and speeds are never constant enough to relax on the road. 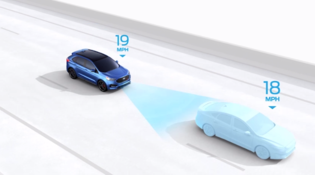 But the Adaptive Cruise Control helps alleviate these stresses by detecting the vehicles in front of you and adjusting the speed on the fly. Plus, with Stop-and-Go technology, the engine shuts off at complete stops and turns back on at the press of the pedal. If your Ford vehicle is equipped with a camera system, you have one of the safest methods of reversing out any parking spot. 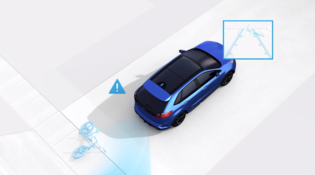 The system gives you a full view on a centre stack screen to give you a full view of any objects that may be near your vehicle and alerts you if you approach them too closely. 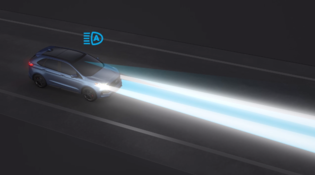 To help mitigate potential accidents with other vehicles or pedestrians on the road, this system produces warning flashes and sounds to alert you while also gently increasing the brake sensitivity before you actually brake. If your vehicle fails to slow down before a potential collision, the brakes will apply automatically. The unexpected is inevitable, but that doesn’t mean anyone has to get hurt because of it. 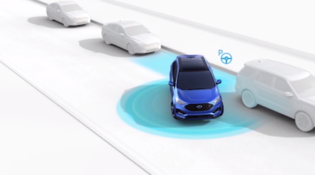 The fast-thinking Evasive Steering Assist makes it easier to avoid potential collisions with your fellow commuters down the road. It does so by giving you extra steering support if the system warns you of another vehicle ahead. For all those long, late-night drives from the city to the country, high beams have helped us navigate the deep and dark highways in-between. For added convenience, the Auto High-Beam Headlamps detect poor lighting conditions and turn them on accordingly. An added bonus, it also dims the headlights automatically to keep other incoming drivers safe on the road. Let’s face it; not everyone is a parallel parking master. We’d go as far to say that a lot of us are still novices, even after getting our licenses. But luckily, the Enhanced Active Parking Assist makes every attempt a success. All you have to do is shift, accelerate and brake while system does everything else for you! Not only does having an intuitive navigation system add convenience to your commute but it’s important for your safety as well. 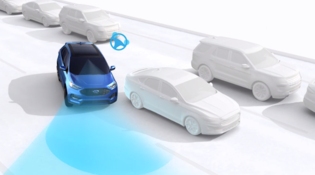 Ford’s navigation system helps you stay the course without any wrong turns or detours, so you only have to focus on driving without any hesitation. Plus, you even get recommendations for gas stations or coffee shops along the way. 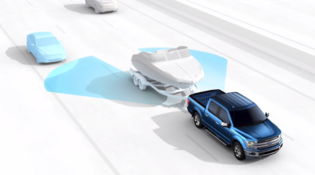 Available as an upgrade for your Ford truck, adding Trailer Coverage helps enhance and complete the Blind Spot Information System by adding sensors for the additional area covered by the trailer you’re towing behind you. Not only does it still alert you of a vehicle beside your truck, but for one’s closeby the trailer as well. 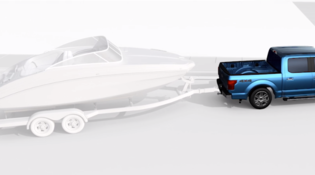 Backing up your Ford truck with a trailer can be a challenge to your every day drive. But the Pro Trailer Backup Assist™ turns you into a master with just the turn of a knob. All you have to do is rotate in the direction you want the trailer to go and the system responds the same way. It makes docking and undocking boats into the lake a breeze! 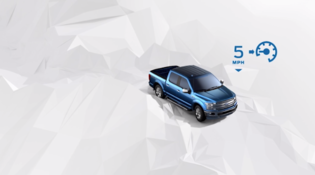 For the adventurous drivers that like to drive off-road, you should consider the benefits of using Hill Descent Control™ on your Ford vehicle. The system helps maintain a set speed as you drive up or down an incline by automatically applying the brakes to control how fast you’re going on uneven terrain.